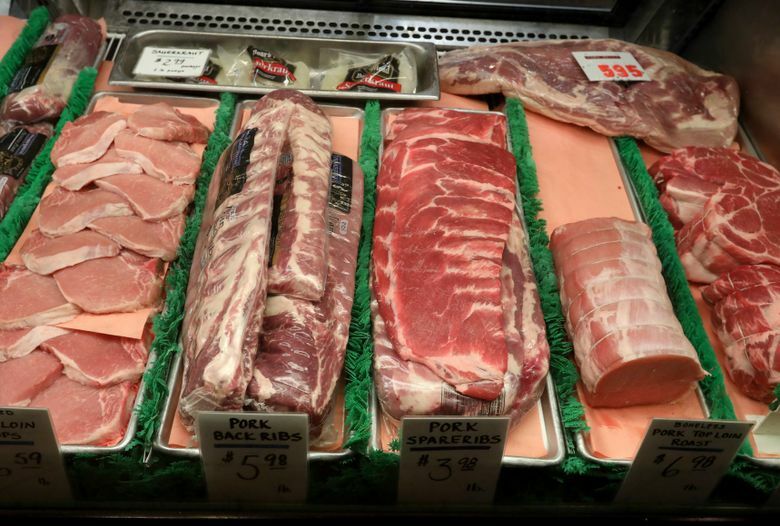 Don & Joe’s Meats has been the place to meet and greet for 50 years. 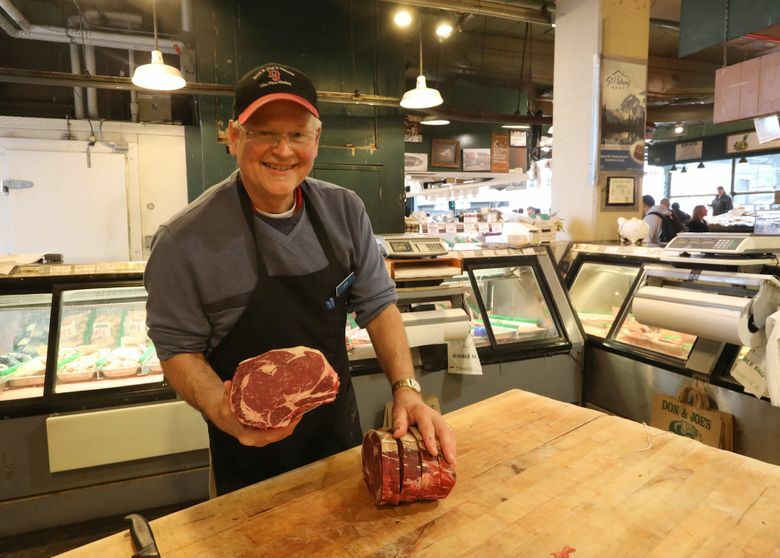 FOR 50 YEARS, Don Kuzaro Jr. has been commuting to Don & Joe’s Meats at Pike Place Market, where he cuts and sells meat, helps his customers plan dinner and gives directions to the gum wall. 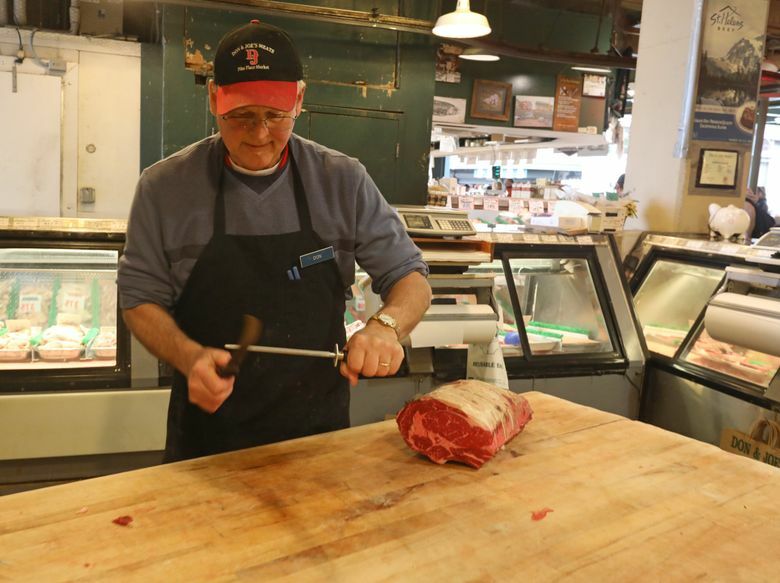 Kuzaro’s butchery has roots that go back to 1906, when a man named Dan Zido came to Seattle from Poland. Zido worked at Frye’s meatpacking plant for 10 years before he and a partner opened their own butchery in Pike Place Market. Eventually, he bought out his partner, and Dan’s Better Meats grew to become the largest retail/wholesale meat market in Seattle. Kuzaro remembers when the only buildings on Western Avenue were warehouses, and he depended on customers driving in from as far as Issaquah and Renton. Then one day, there was a big snowstorm, and he barely made it in to open the shop, but he had plenty of customers. That was when he realized how many people can walk to Pike Place Market. Which is also why Kuzaro likes to hire young people with a cooking background. They already know how to wield a knife, and when someone needs a recipe or advice, they can help. Mostly he looks for people skills, because anyone working in the Market needs to “embrace the atmosphere,” he says with a chuckle. The fish market next door draws crowds when workers start throwing fish, and Kuzaro is happy to sell the tourists all the pepperoni and jerky they can eat. At home, Kuzaro is the griller. He says you can’t go wrong with a bone-in rib steak: grass-fed, grain-finished, well-marbled, dry-aged in-house, seasoned with a Montreal-style dry rub made for Don & Joe’s. He says to leave it at room temperature for an hour, then grill it 3 or 4 minutes on each side over medium heat for medium-rare. Sounds good — I’ll take two.